Recovering from addiction is challenging, but nonetheless not impossible. As long as you realize that addiction is wrong, and remain committed to overcoming abuse, you’ll be able to recover and remain sober. Obviously, there are plenty of high end rehab programs out there in terms of care, quality and effectiveness, and you should definitely sign up for one of these. But there are also a couple of home remedies that you can try out without any professional help. For instance, meditation clears up your mind whereas yoga increases your concentration and de-stresses you. Acupuncture treats withdrawal symptoms and massages. Music and art therapies soothe and relax, helping you deal with this challenge. The most effective advice that we or anyone else can ever give you. When on the road to recovery, it can be tough to decide whether you want to change or not. And it is even more difficult to muster the willpower and determination to stay away from alcohol and other addictive substances. These feelings of uncertainty and uneasiness are all too common. But stick it together and remain motivated. Obviously, you’ll need to rely on the support offered by professional addiction recovery programs your family and friends. But keep your motivating levels high and believe in yourself. 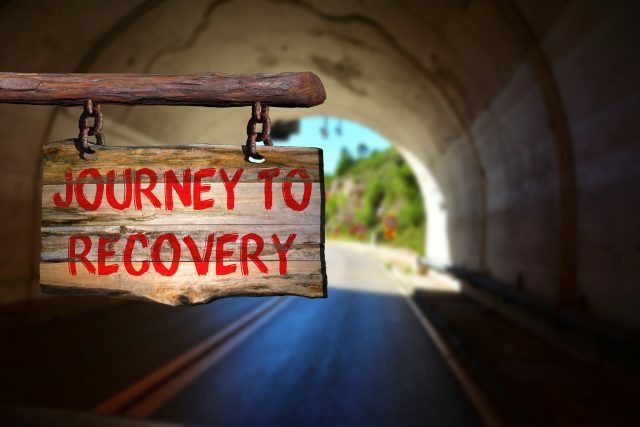 A little tip here: relapses are quite common on the road to recovery. And the best way to avoid them is to avoid things, places and people that you can associate to addiction. Because it calms you down and relaxes your mind. Meditation clears up your thoughts, offering you mental clarity, and makes you more aware of yourself. Regularly practicing meditation helps you overcome abuse by reducing physiological and psychological related abuse triggers. Plus, you can channel all the positive energy to gaining a control over your emotions, preventing negative feelings and overcoming stress that may lead to a relapse. As far as overall effectiveness is considered, that actually depends on the time and duration for which you choose to mediate. Generally, you derive greater benefits when you meditate for longer periods. 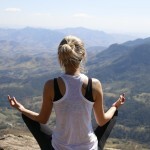 Yoga is often incorporated in a professional addiction recovery program. The methodology is based on different physical postures and breathing exercises that connect the body to the mind, helping you become more self aware and focused. Yoga can help you break the cycle of negative emotions, stress and addictive behavior by making you more self aware and more in control of yourself. The traditional elements and poses of yoga improve your attention, concentration and motion. Aromatherapy is another effective way for recovering from abuse. Your nasal cavity is close to the brain. Sensing strong smells can open up pathways to the brain, elevate your mood and promote your state of consciousness. Aromatherapy is based on using essential oils, featuring healing properties. Add around 5 to 10 drops of these beautifully smelling fragrances to a tub filled with warm water, and take a relaxing bath. If you want, you can also just inhale the fragrance that is released from these oils. Open the bottle, and take a few deep breaths. Instilling behavioral changes is one of the most effective ways to treat drug addiction. Music and art therapies release you emotionally and help you fight stress, allowing you to adjust to recovery. These practices improve your confidence levels, helping you avoid responses, incidents and feelings that can lead to triggers. Art improves your motivation, providing you with an outlet to vent out all those painful emotions and convey your negative feelings. Music therapy improves your emotion-accepting abilities, promotes self awareness and improves your self esteem. 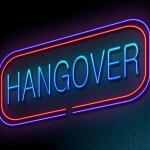 Apple cider vinegar or ACV doesn’t really help you recover, but it reduces your cravings for alcohol and drugs. ACV is chemical made up of acetic and malic acid, which help you stay away from drugs. Plus, apple cider vinegar also boosts functioning of your immune system. Caffeine is often thought to be a drug, and from some aspects, it actually is. But caffeine can also drive away your addictive behavior, helping you remain sober. Caffeine is a good substitute for various substance addictions including alcohol and cocaine. A cup of caffeine every day boosts your cognitive energy and adrenaline levels. It helps you control your cravings and allows you to recover from abuse without going through serious withdrawal symptoms. But ensure that you don’t take too much caffeine. You’re going through the drug withdrawal phase when you suffer from symptoms such as nausea, headaches, depression and insomnia. This is the time when skullcap offers the greater benefits. If you’re addicted to alcohol or any other substance, your liver is greatly affected. Milk thistle improves the functioning of and protects your liver. The main role of a liver is blood filtration. Addictive substances also travel through your body via blood, and are filtered by the liver. Accumulation of these toxic substances affects liver functioning. Milk thistle restores your liver with its hepato protective properties, strengthening its ability fight various environmental toxins. This substance is also used for treating hepatitis and cirrhosis. A healthy diet incorporates omega-3 fatty acids and proteins, which you should consume if you to recover from addition. Drugs can affect your brain’s neurotransmitters. When in the recovery phase, you need proteins in sufficient quantities so that these neurotransmitters can heal, putting your brain back in a healthy shape again. Omega-3 fatty acids also repair other cells and tissues in your body that were damaged and protect you from additional stress that you may build up in the recovery phase. If you have a love for warm and furry beings, then pet therapy will definitely help you out. Get a pet, and start taking care of them. This stimulates a change, allowing you to adjust and modify your behavior and thus, making it easier for you to recover from addiction. Spending more time with animals has other benefits as well including lower blood pressure levels, reduced anxiety and lesser pain. Just like taking care of animals can stimulate positive changes, so can taking care of plants. Surrounding yourself by greenery and pretty smelling flowers decreases your stress levels, mitigates your pain, lowers anxiety and boosts your cognitive function. This therapy also helps if you find it difficult to fall asleep at night. Hypnosis was initially used for tobacco addiction, but when tried out on abusers, the effects were remarkable. If you’re hypnotized, a wave like strength or resonance is created in your brain, which makes you more receptive to suggestions. A hypnotist leads you to this stage, and then tries to reprogram your mind. Hypothesis may or may not work on you, depending on how resistive you would be to the methods used. This is another antioxidant which improves the functioning of your liver along with your respiratory system. Plus, it can also treat different kidney ailments with its antibody stimulative properties. Licorice roots work best for people, suffering from alcohol abuse. In the old days, this root powder was used in the Eastern world, but now the practice has spread to the west as well. Kudzu helps you deal with withdrawal symptoms effectively and prevents a relapse. It curbs your intake and reduces your desire for the substance. Another old Eastern practice for treating addiction. The leaves of this tree, also referred to as maidenhair tree, don’t only help you recover, but also treat other disorders. Supplements are available, but using leaves is more effective. Ginkgo Biloba improves your cognitive strength, willpower, memory and concentration. Plus, this herbal root can also heal some damage caused by abuse. Author Bio: Charles L. Watson is freelance health writer for https://www.eliterehabplacement.com. If you don’t catch him at the local Detroit Tigers game, you could catch him reading new material from his favorite author Tim Ferriss. Reach out to him today at Twitter at @CharlesWatson00.